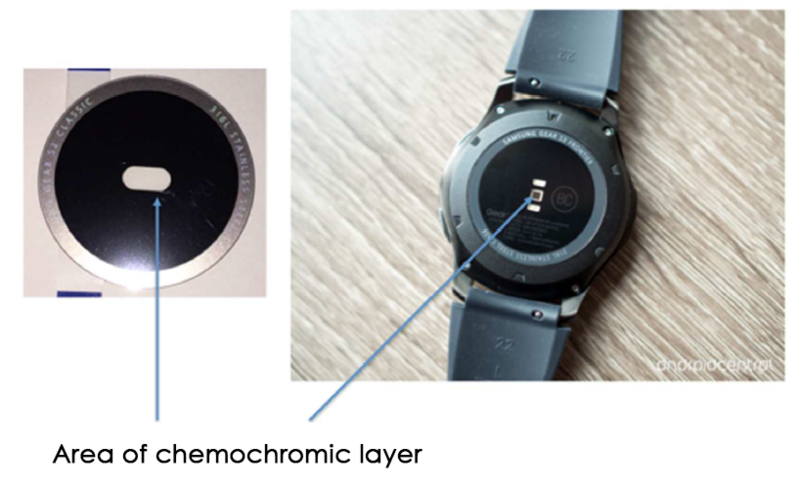 Spectrophon sensor technology is comprised of patented chemochromic layer from different sensitive materials that are applied on the surface of a photoelectronic component, and patented algorithms for processing the sensor signal. The chemochromic layer acts as a passive sensing element, it's optical characteristics temporarily and selectively change when in contact with different metabolites emited from the human body. This optical characteristics change effects the amount of light passing through the layer measured by the photoelectronic component. 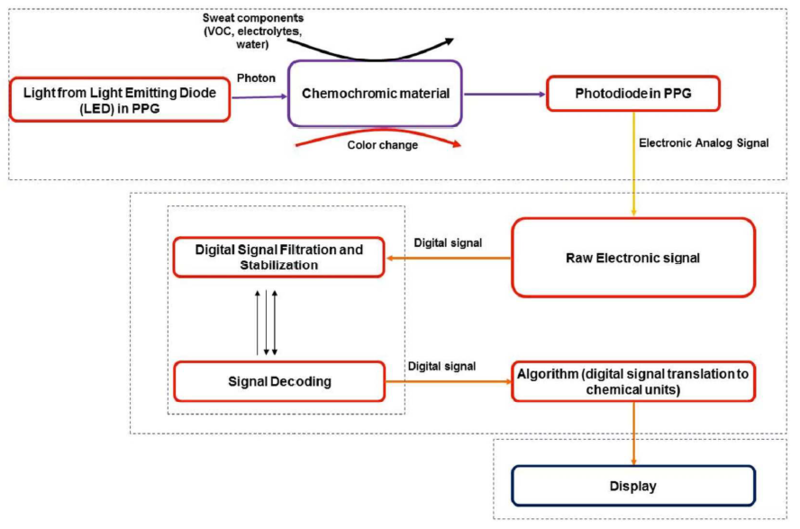 Our algorithms process the signal from photoelectronic component to measure various metabolites concentrations. These metabolites taken together are further calculated into values like blood glucose or calories burned. The figures below show our technology's adaptation to a smartwatch.